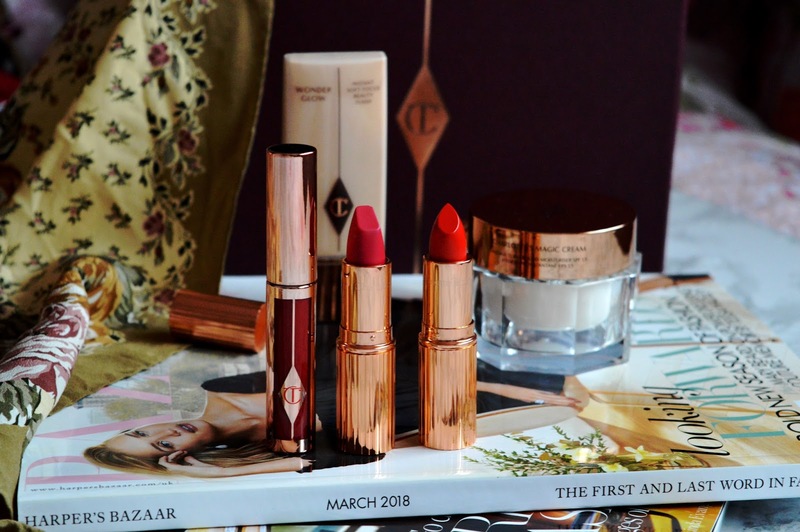 The Hollywood Lips collection by Charlotte Tilbury is her first ever matte liquid lipstick range, and oh boy is it all I expected plus more! I have the super deep and pigmented red shade of Screen Siren – a red that is totally 'me', and a red that I will forever be besotted with! The packaging is dreamy, the formula is dreamy and the applicator is dreamy too.. it's a lipstick that honestly ticks all of the boxes. The formula is non-drying and super pigmented, it really was love at first swipe. The applicator is shaped similarly to Charlotte's Matte Revolution lipstick bullets, which I love, and this ensures the most perfectly plumped application imaginable. Not a classic red, I know, but still a red nonetheless. 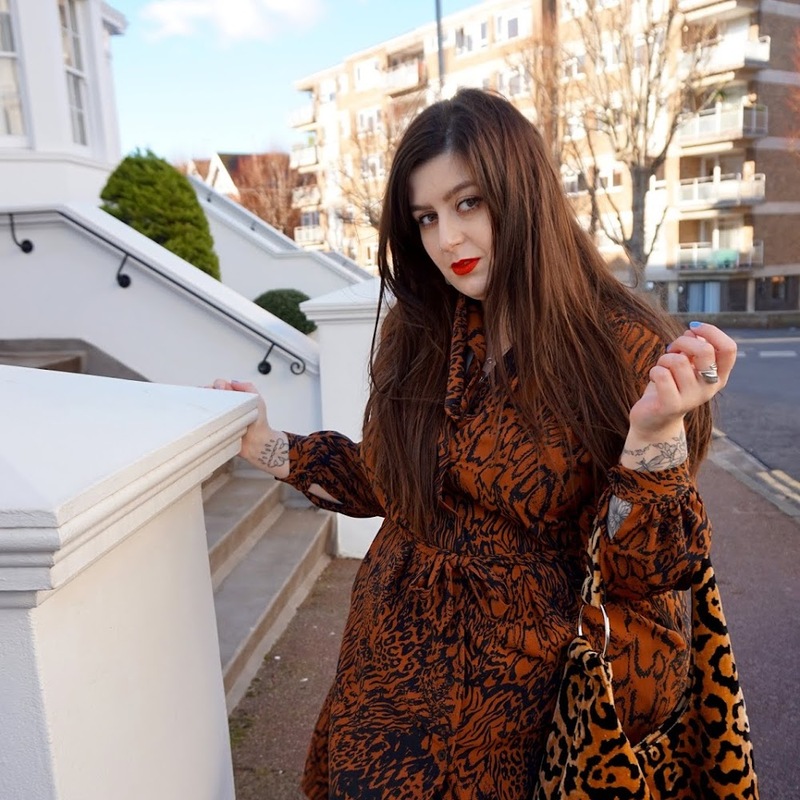 The Queen by Charlotte Tilbury is a gorgeous lipstick, and one I can't get enough of recently – it's an award winning lipstick and shade too! This berry hued red has a pink shift and looks gorgeous on any skin tone. In one of Charlotte's most iconic formulations, the Matte Revolution collection is one of my favourites, 1) because of the bullet and 2) because of the incredible demi-matte finish. This formulation isn't drying, nor does it appear patchy, it's also uber pigmented and lasts all day long too – it's dreamy AF! This red is honestly my new holy grail. A warm, bright, highly pigmented lipstick that has a gorgeous sheen and long-lasting shine – how can anyone not love Love Bite!? The K.I.S.S.I.N.G. 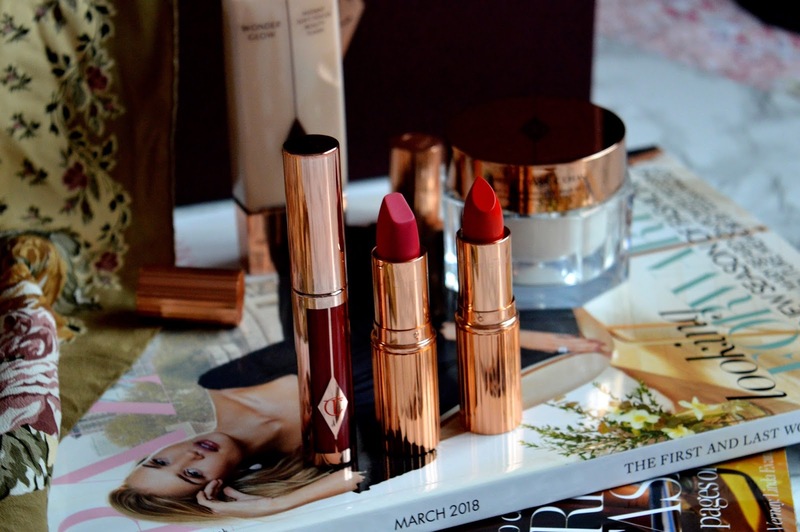 lipstick range is gorgeous and boasts of having hydrating and soothing properties, which I can totally vouch for. 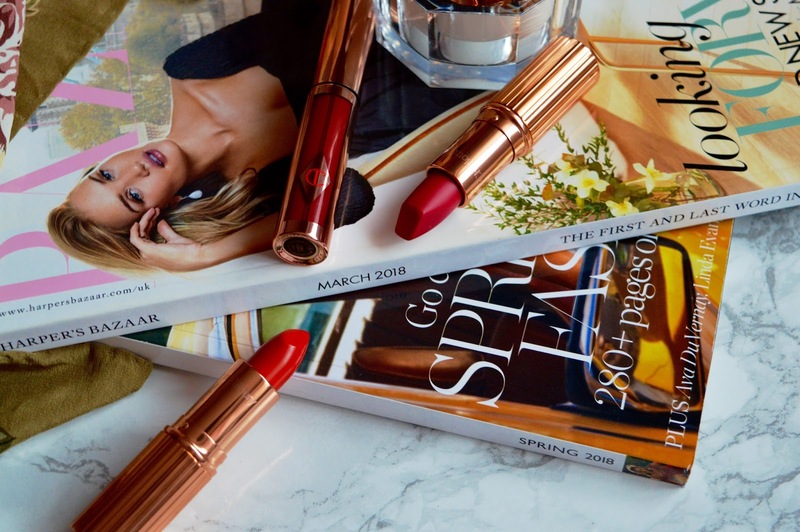 Having a hydrating lipstick (or five) in your lipstick collection is a must, especially in during the transitioning months such as spring and autumn, when our lips need TLC more than ever. 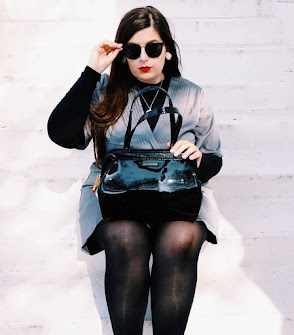 This red is my GO-TO red lipstick, I don't know how I lived without it before! I find this formulation incredibly hydrating – it quenches your lips with hydration, therefore allowing your pout to be plumper and shinier than ever. 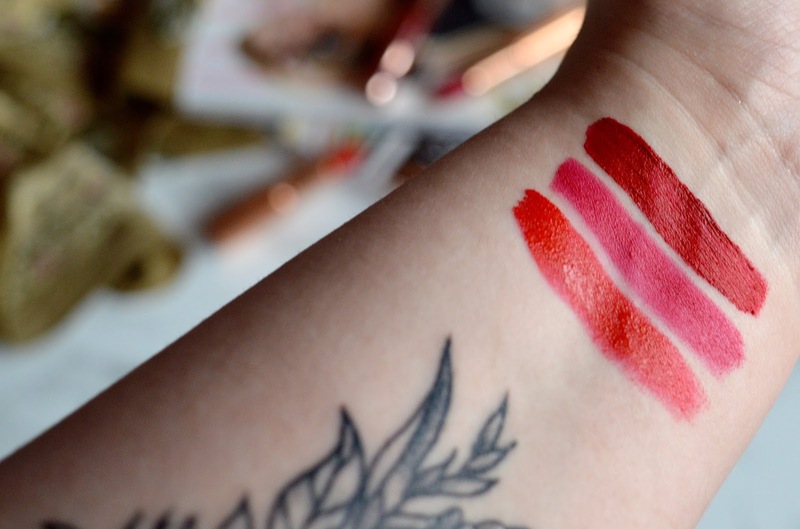 Each of these amazing lipsticks are gorgeous shades of red. All very different in appearance, formulation and finish, but all incredibly amazing and perfect for spring! From deep and dark reds, to pink hued and orange hued reds – which one would you choose? 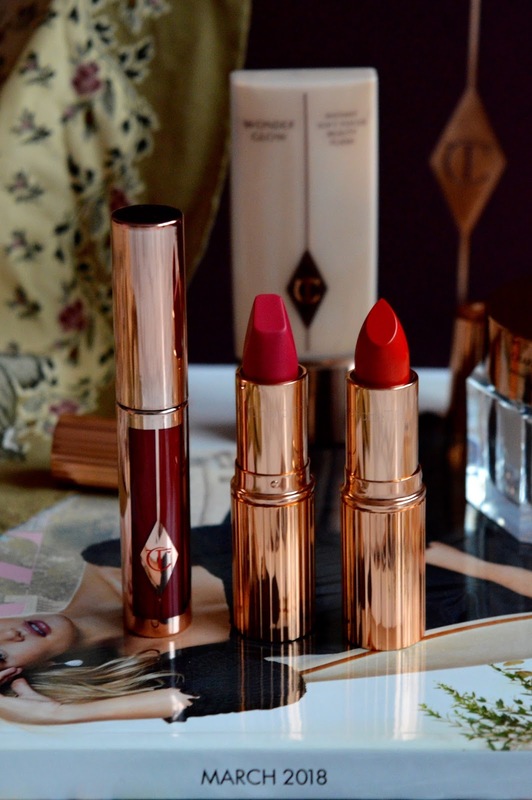 Let me know which shade is more 'you' from the above three gorgeous shades of red by the queen herself, Charlotte Tilbury! Sigh...It's so gorgeous. Way out of my price range at this moment unfortunately. my goodness are these stunning shades! Love the packaging and they look so luxe! 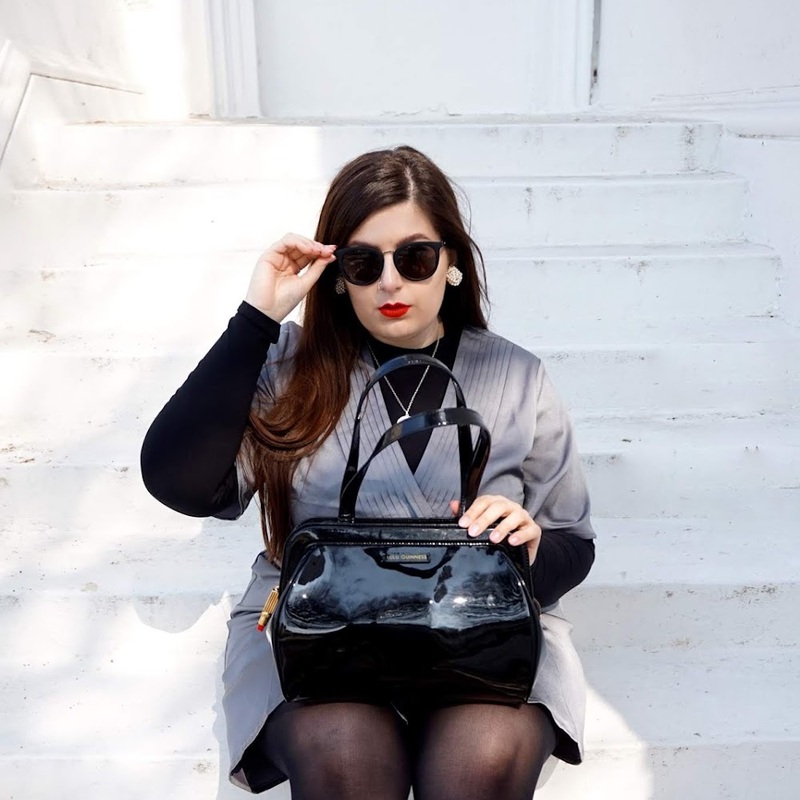 I love CT lipsticks - you've helped me pick the shades I want to invest in next!